I know Isomalt is normally used for pulling but I keep trying to make it as a syrup (like karo) I've been using a ration of 3:1 Isomalt/Water to make the syrups. They turn out great but when they cool they turn white and grainy. Is there any way to keep the syrup clear at room temp? There are, syrups you can buy Syrup Description I think that the Isomalt used for them is formulated differently. Since Isomalt is made up of two components, tweaking the ratio can affect the performance. Looks like your product may only make a lovely syrup if kept warm. A mixture of 70 g of isomalt (IsoMaltidex 16500, Cargill) and 30 g of water was boiled in a preserving jar on a water bath as described in Example 2 to obtain a clear solution. No crystallization occurred upon cooling, and the isomalt solution remained homogeneous for more than 11 days (experiment still running). The large manufacturers of Isomalt make their products for the confectionary, baking and weight loss industries. Many Isomalt products are blended with other polyols in order to create mixtures that work better in large mechanized operations. Many retailers of Isomalt buy and distribute these mixtures assuming that they are selling 100% Isomalt products. 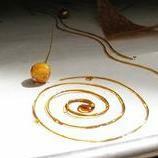 A blended Isomalt mixture can yellow prematurely and can also be less resistant to humidity. The isomalt in your solution crystallized. It shouldn't do that. At least, not according to the first two links above. I'd wager to say that you might have polyol adulterated isomalt on your hands. Corn syrup and or glucose syrup will help prevent sugar solutions from re-crystallizing, so they might help in this instance as well, although I'm not sure how much it would take. I use polydextrose, a high molecular weight corn syrup, for keeping erythritol from recrystallizing in syrups, but erythritol is incredibly crystallization prone and it takes a lot of polydextrose (about 3:1) to make it work. An adulterated isomalt, depending on what the adulterant is and how much of it there is, should require considerably less crystallization inhibitor. What do you need an isomalt syrup for?